Apart from unveiling the new Radeon R7 260 graphics card recently, it turns out that AMD have also quietly unleashed additional new graphics card as well which come in the form of Radeon R9 260 and R9 255. If you are feeling confused due to similarities in model number…well, same goes for us. Nevertheless, there are indeed some differences between Radeon R7 260 and Radeon R9 260. 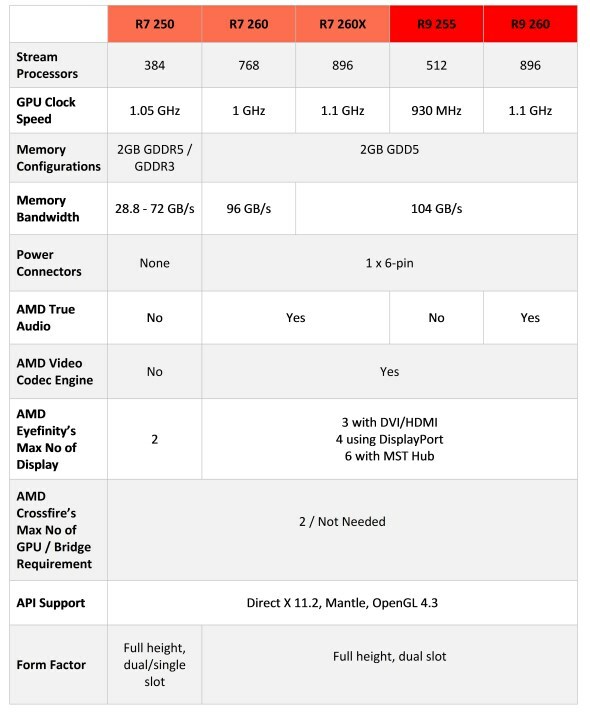 According to the official specification sheet, the R9 260 have more stream processors than its R7 counterparts and it also runs at a higher clock speed. In fact, the R9 260 GPU specifications is generally equivalent to R7 260X as both have the same amount of stream processors and the same base clock speed. Furthermore, a check on AMD graphics driver’s data revealed that the R9 260 is based on “Bonaire” silicon which was also present on R7 260 and R7 260X. As for R9 255 graphics card, it apparently contains more stream processors than R7 250 although it does run at a lower clock speed. Additionally, the data within AMD’s graphics driver also revealed that the R9 255 is equipped with “Cape Verde” silicon which was previously used in Radeon HD 7730, 7750, 7770 and 8760. 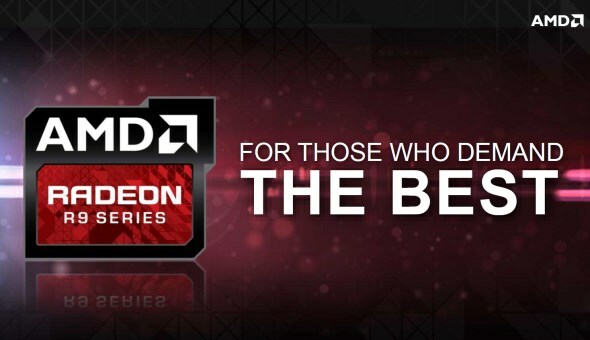 As both Radeon R9 260 and R9 255 are made for OEMs, you can’t just buy them outright through you favourite retailers. Instead, you will most probably see them inside a fully assembled desktop PC from OEM brands out there soon enough. Click on the Read More link below (if available) to see the comparison of the new Radeon R9 260 and R9 255 against the previously released R7 260X, R7 260 and R7 250.